Lawmakers in the House of Representatives have summoned the Minister of Agriculture, Mr Audu Ogbeh, in a bid to address concerns being raised over the importation of genetically modified foods into Nigeria. The summon followed a motion raised by a member of the House from Imo State, Rep. Austin Ikechukwu, on Thursday at the National Assembly in Abuja, the nation’s capital. The legislators asked the Minister to appear before them over the issuance of permits to a company, Monsanto Agriculture Nigeria Limited, to introduce some of the foods into the Nigerian market. The House Committees on Healthcare Services and Agriculture Products have been mandated to also meet with the Director General of the National Agency for Food and Drug Administration and Control (NAFDAC). 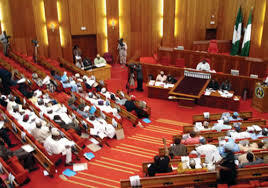 The committees are to get a list of food supplements and genetically modified foods that have been granted NAFDAC registration numbers and have 12 weeks to report back to the House.